Neonatal resuscitation is the sum of steps for the asphyxiated baby just after birth. Newborn resuscitation helps to establish breathing and circulation. It is very essential to prevent hypoxic damage to various organs especially the brain. 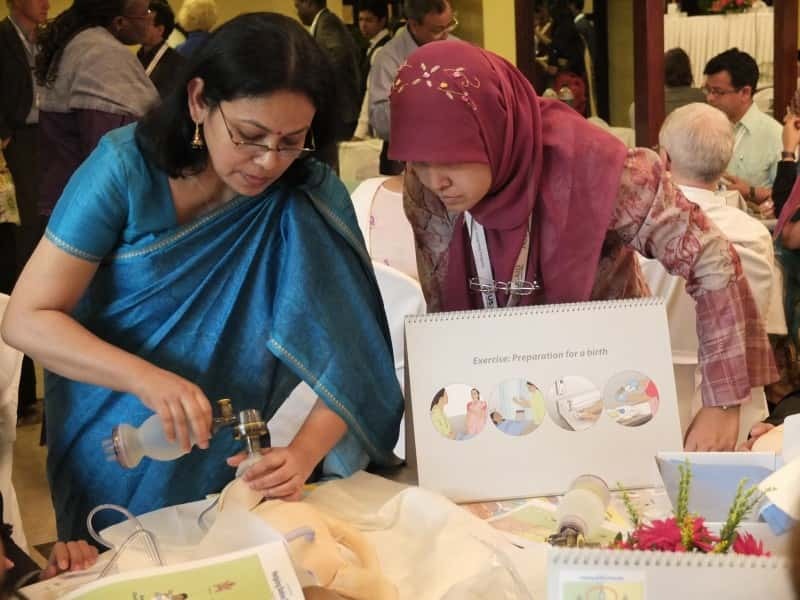 Neonatal Resuscitation Program is a set of educational guidelines established by the Department of Neonatology. Every pediatrician must be accommodated with the basic steps of resuscitation. Also, Medical Officers who deal with the baby after birth has to know the management plans. As a part of APGAR scoring, pediatricians measure the vital signs of the baby. 1st minute APGAR score predicts the immediate outcome of the baby while the 5 minute APGAR score predicts the future outcome. Hypoxic damage to the brain is irreversible. Late complications are cerebral palsy, mental retardation etc. Before the baby was born it gets oxygen and nutrition through the umbilical cord. After the cord is cut immediate establishment of ventilation and oxygenation is necessary. So your immediate action can save the lives as well as ensure a good future for the baby. 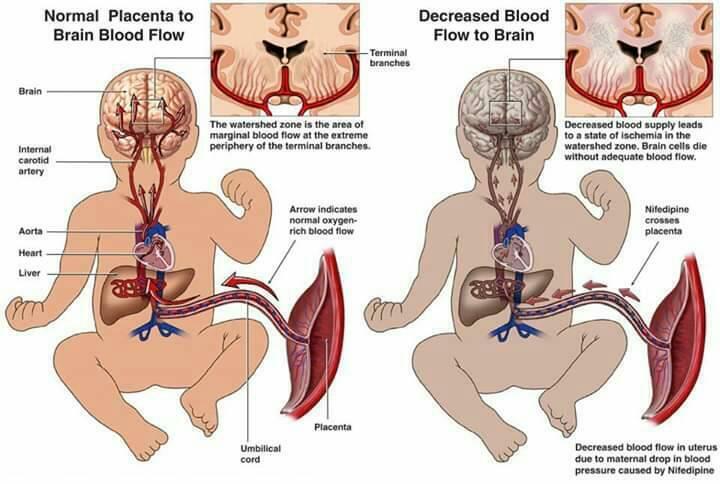 Perinatal asphyxia is an insult to the fetus or newborn baby due to lack of oxygen or lack of perfusion to a various organ which will manifest as difficulty in establishing spontaneous respiration just after birth at least after 1 minute. Ensure that the ‘Airway’ is open and clear. Be sure that there is ‘Breathing’, whether spontaneous or assisted. Make certain that there is adequate ‘Circulation’ of oxygenated blood. Dry the baby and remove the wet cloth. Keep the baby warm either by a warmer or direct skin to skin contact with mother. – Breathing well: Crying or breathing quietly and regularly. – Not breathing well or gasping respiration. Open the airway. The baby should be positioned on the back, with the Neck slightly extended in Neutral position. No need of Routine suction to every baby. Sometimes improper suctioning with much pressure causes injury and bleeding. Give suction first in the oral cavity 5cm in the mouth and then in the nose up to 3cm. Do not suction more than 10 seconds at a time. Once the airway is clear, stimulate the breathing by rubbing along the spine with the hypothenar eminence of hand. Do not slap the back of the baby or hold the baby upside down and shaking. These may cause bruising, fractures, intraventricular bleeding or brain damage. Cut the umbilical cord and shift the baby to a better place for bag-mask ventilation. Start positive pressure ventilation within 1 minute after birth. Choose the correct size self-inflating bags for the baby with connected oxygen line. Position yourself behind the head of the baby to use the BMV effectively. The mask should cover the nose and mouth. Use the thumb and index finger to encircle the upper stiff part of the mask. Middle finger should rest on the rim at the chin. Little finger and ring finger should be at the jaw. If effective ventilation is done the baby will improve in color and chest will rise with each ventilation. If the chest does not rises, reposition the mask and give a harder squeeze. Now if the baby can start spontaneous respiration reduce the rate of bag-mask ventilation and discontinue. Meanwhile, check the heart rate of the baby after 1 minute. If heart rate is >60, continue BMV till spontaneous breathing is established. If HR is <60, after one minute of effective ventilation, go to next step of chest compressions with help of an assistant. Insert an orogastric tube and left it in place uncapped (open). Use the two thumb encircling technique for chest compressions. Two thumbs are used to depress the sternum, while the hands encircle the chest and fingers rest on the spine. Hands should be positioned on the lower third of the sternum in the midline. The thumbs can be placed side by side. Use enough pressure to depress the sternum to a depth of approximately one-third of the anterior-posterior diameter of the chest. One cycle of events CPR cycle consists of 3 compressions plus 1 ventilation. These 4 events should be done in 2 seconds. practice saying the words while compressing the chest. one two three-and ventilation…….one-two three-and ventilation…….one-two three-and ventilation…….one-two three-and ventilation……. If the heart rate is still below 60/min, use adrenaline. 1 ml mixed with 9 ml distilled water makes 1:10000 dilution. Give 0.1ml/kg IV through umbilical vein. Use NG tube (5Fr) for umbilical access. Shift the baby to NICU for further management. If no signs of life, no heart rate, no respirations or color change even after 20 minutes of effective resuscitation, discontinue efforts. Wait for an hour before declaring the baby dead.